A semester-long design research project conducted under the guidance of Dr. Liz Sanders at Ohio State University. The project was a co-design effort with Linworth Alternative Program, a local experiential education based public high school. 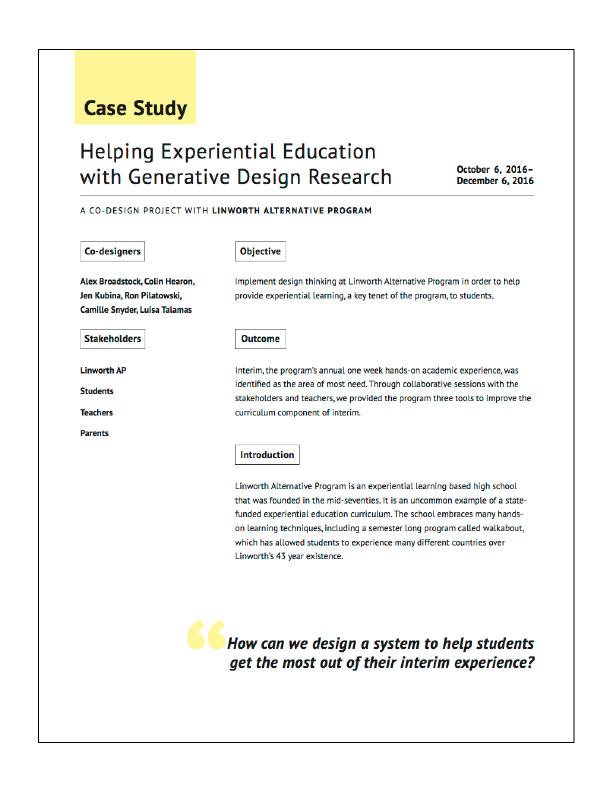 Click below to view case study PDF.